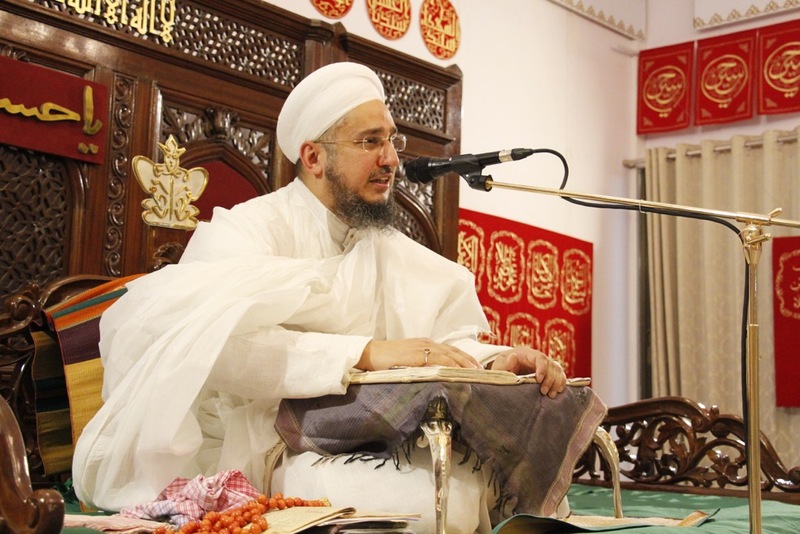 Syedna Fakhruddin TUS performs Ashara Mubaraka 1438H waaz on Takht-e-Imami in Darus Sakina, Mumbai with great shaan, and delivers deeply meaningful orations about faith in Allah, and Panjetan Paak, Imams, and Dais and guidance in this world and the next. 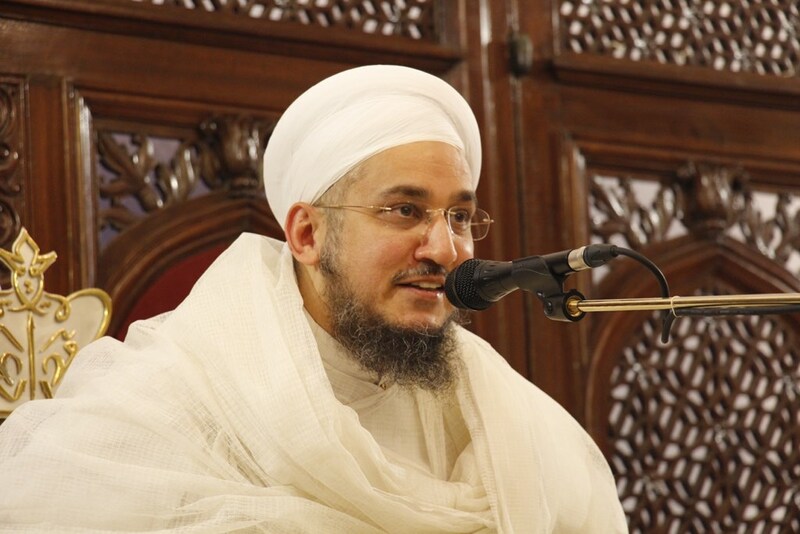 We have presented here a brief glimpse of some of the priceless and countless pearls of wisdom imparted to Mumineen. 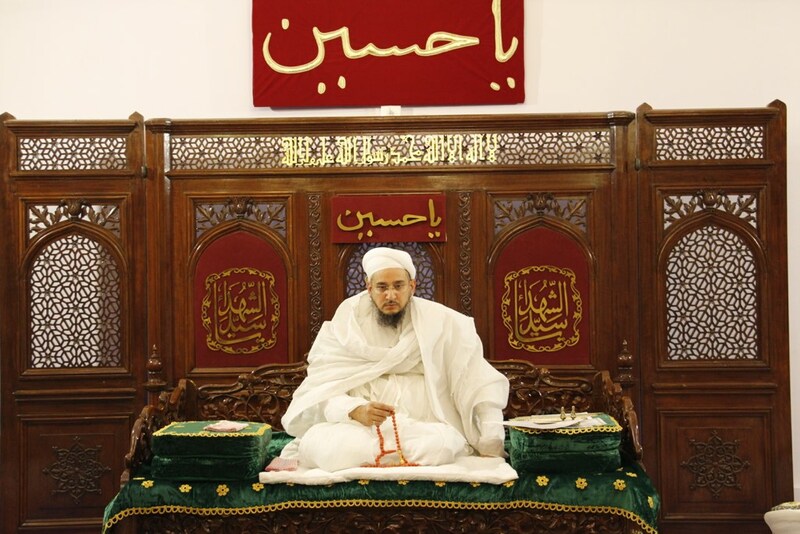 1st Waaz: Syedna Fakhruddin's first waaz was broadcast worldwide, click here to view. Maulana began the bayaan and stated our belief in Imam-uz-Zaman AS, our conviction that he is present, in this age and emphasizing that today, on this day, on this earth, Imam-uz-Zaman is present. Maulana recounted the recent passing away of Syedna Qutbuddin RA and did shukr for the multitude of nemats he bestowed upon us, the prime one of maintaining us on the path of Haq, even in these turbulent times. Maulana recited and expounded on the ayat “he who does niyyat for the Hereafter (aakherat) and strives for it and he is a Mumin - they are the ones whose efforts Allah accepts and rewards (sa’ye mashkoor)” (Surat al-Isra’: 19). He explained that Aakherat is known as “Hereafter”, one that is after this life, lasting forever. Death is inescapable as our Hudaat have repeatedly preached. Maulana also presented 3 chapters (fasal), starting with Panjetan and their sa’ye mashkoor, then the sa’ye mashkoor of A’immat Tahireen and Du’aat Mutlaqeen. Maulana gave many examples of how our Hudaat Kiraam themselves strived for Aakherat and in doing so guided Mumineen to strive for Aakherat. 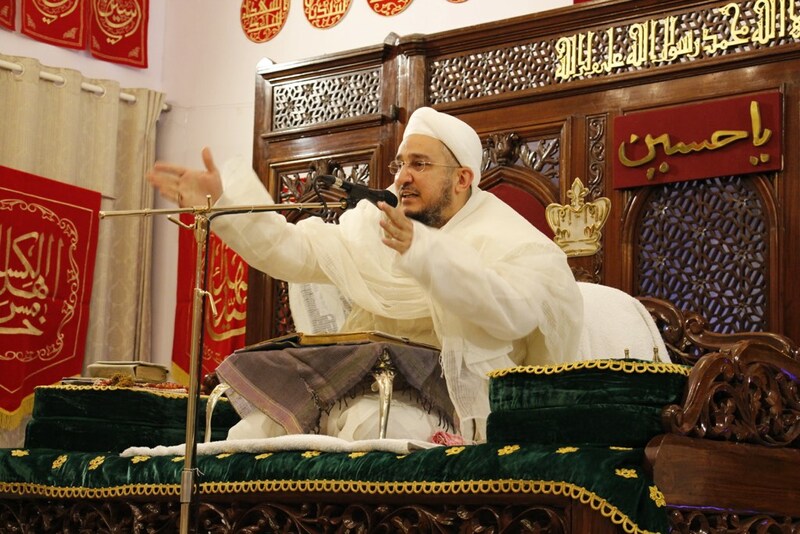 Maulana continued with Panjetan zikr, recounting the sa’ye mashkoor of Maulatena Fatema AS, Imam Hasan SA and Imam Husain SA. Maulana then continued with zikr of A’immat Tahireen, especially Imam Ali Zainul Abideen and Duat Mutlaqeen, especially Syedna Khuzaima Qutbuddin RA. Maulana recounted a bayaan from Eisa Nabi AS, who advised the hawariyeen that if you need to leave dunya for deen, do so happily, just as people of this world would leave deen for dunya. Maulana stated that such are times, people are unwilling to give misaaq due to family or social matters, they say they will see when the path is clear. Maulana advised to not let deen go today, for the sake of worldly matters, since the latter is bound to perish one day. Maulana ended with poignant remembrance of Imam Husain’s SA shahadat. 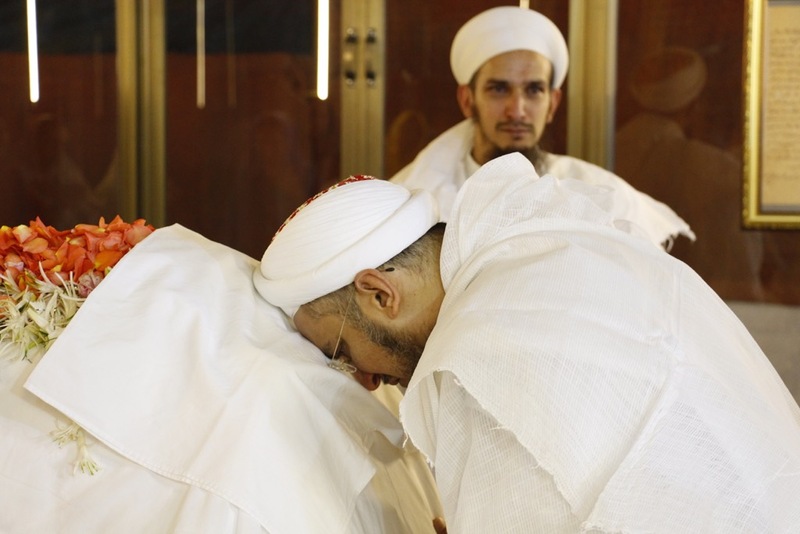 Maulana addressed Mumineen that by Allah Ta’ala’s witness, for each Mumin that sheds at least one drop of tear in the remembrance of Imam Husain, he would araz to Imam-uz-Zaman to include this Mumin in his zumra (union). 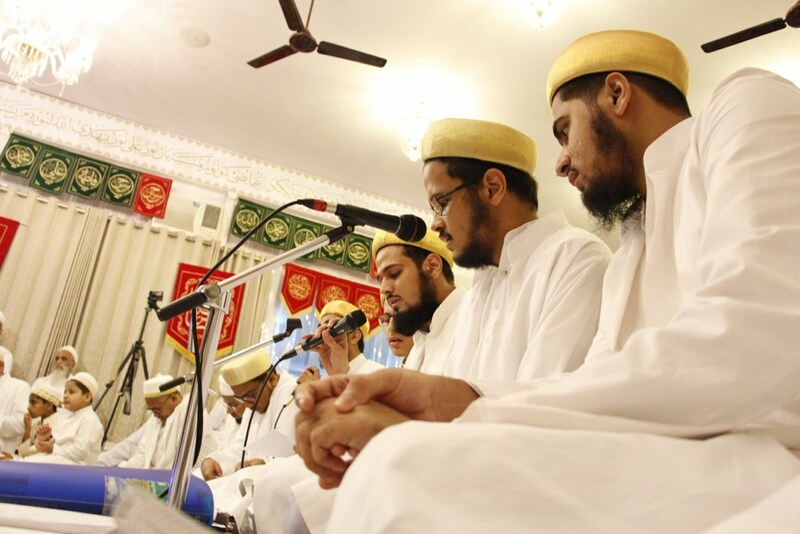 For the longer summary in English and Dawat ni Zaban and more photos of first waaz click here. Maulana began the bayaan with zikr of safinatun najat (ark of salvation). On Ghadeer-e-Khum, during the same khutba (sermon) in which Rasulullah pronounced Amirul Mumineen as his wasiyy, he also stated that his Ahle Bayt are like Nuh’s safina, whoever boards it is guaranteed salvation and one who defers from boarding will drown, just as it is not possible to remain alive at sea without a ship. 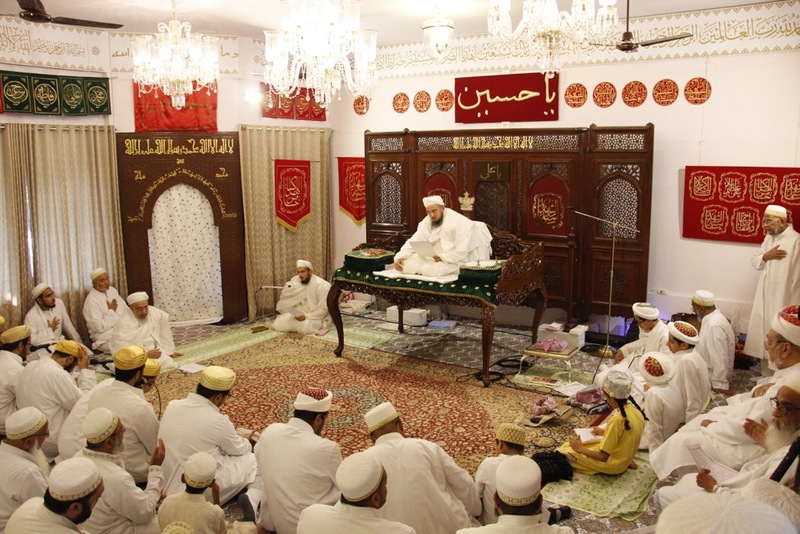 Maulana related that after his misaaq was taken by Syedna Burhanuddin, Syedna Qutbuddin hosted a ziyafat in shukr with a backdrop of safina. 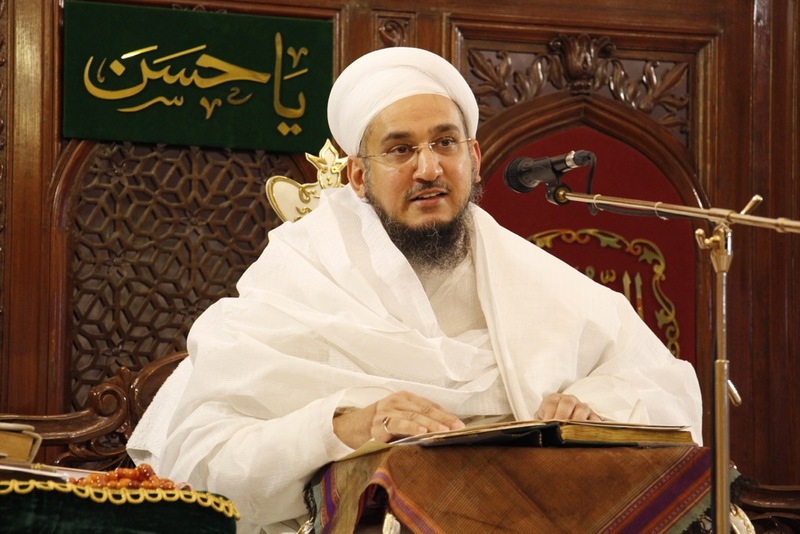 Syedna Qutbuddin stated in his speech on the occasion that the Dai’s persona is the safinatun najat itself, Syedna Burhanuddin was very pleased with the sentiments expressed. The Dai saves us from destruction and brings us to salvation, giving spiritual & eternal life to our nufoos (souls). 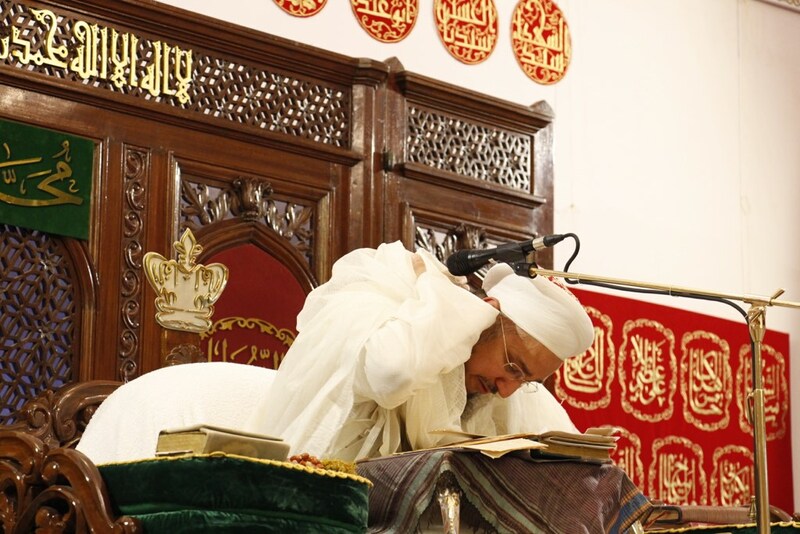 Maulana did zikr of the deep meaning in two Surats of the Quran, the mua’wwizatain (derived from isti’azat, to seek refuge in Allah Ta’ala from Shaitan) - Surat al-Falaq and Sural al-Nas. People of tafseer (exegesis) say that these were revealed since Rasulullah was afflicted by the spell of a Jewish lady, and that reciting these Surats alleviated him. 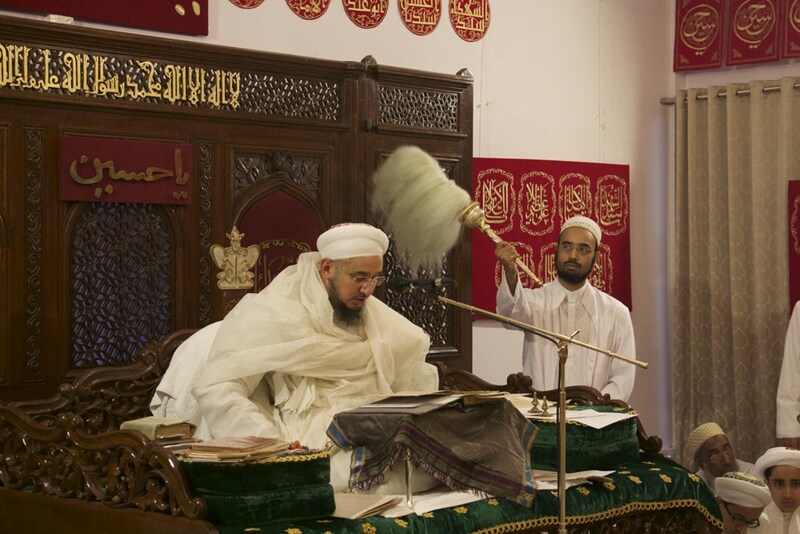 Syedna Moayyed Shirazi questions how such a spell could affect Rasulullah. Rather the indication is towards batin. Maulana explained in great detail the meaning of these Surats, drawing from the kitaabs and bayaans of our Hudaat Kiraam. 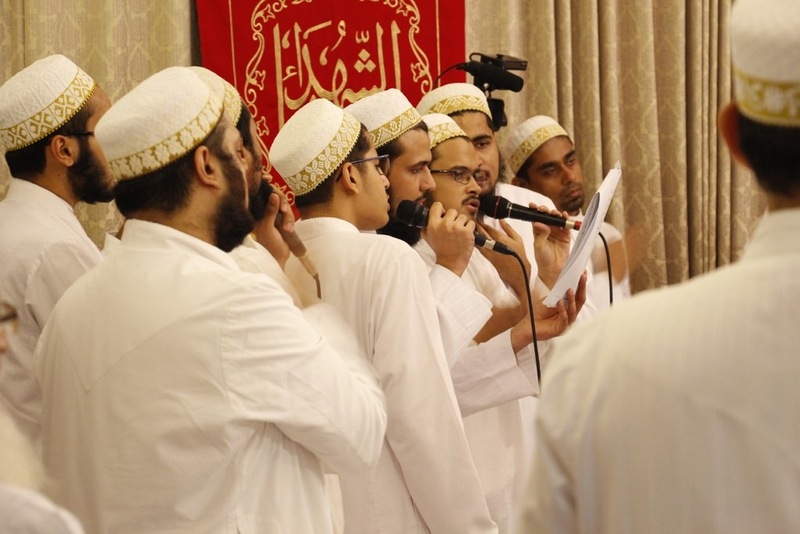 For the longer summary in English and Dawat ni Zaban, photos, video excerpt of second waaz click here. Maulana began with the bayaan of Nabi Ibrahim SA, whose millat (tradition) we follow. Rasulullah SA stated to Amirul Mumineen SA that “I and you, Ali, we follow the Dawatof our father Ibrahim.” The Dawat of Rasulllah and his progeny A’immat Tahereen SA is the same Dawat Ibrahim established, the same Dawat mentioned in the ayat “His is the Dawat of Haqq” (Surat al-Ra’d: 14), due to the presence of an Imam from the progeny of Ibrahim. Quoting Syedna Qutbuddin RA, Maulana explained how the sun was present yesterday, yesterday was a day, today it is another day and a discerning person would conclude that tomorrow a new day will follow. Similarly, an Imam was present yesterday, he is present today and will be present tomorrow. Maulana related the riwayat of Imam Jafar-us-Sadiq SA that is often recited in Ashara waaz, where he does tremendous nawazish (favors) on Shia. Maulana then recited and expounded on the ayat “wajjahtu wajhi - indeed, I have turned my face toward He who created the heavens and the earth, believing in One God, and I am not of those who associate others with Allah" (Surat al-An’am: 79). Maulana then explained in great detail 3 fasal (chapters) of Nabi Ibrahim; zahir, taweel & haqiqat. The zahir was pertaining to Ibrahim’stawakkul when his enemy threw him into the fire. Maulana also recounted Amirul Mumineen’s kalaam that 4 types of people have tawakkul: (1) on their money, (2) on their health and body, (3) on other people and (4) on Khuda Ta’ala. 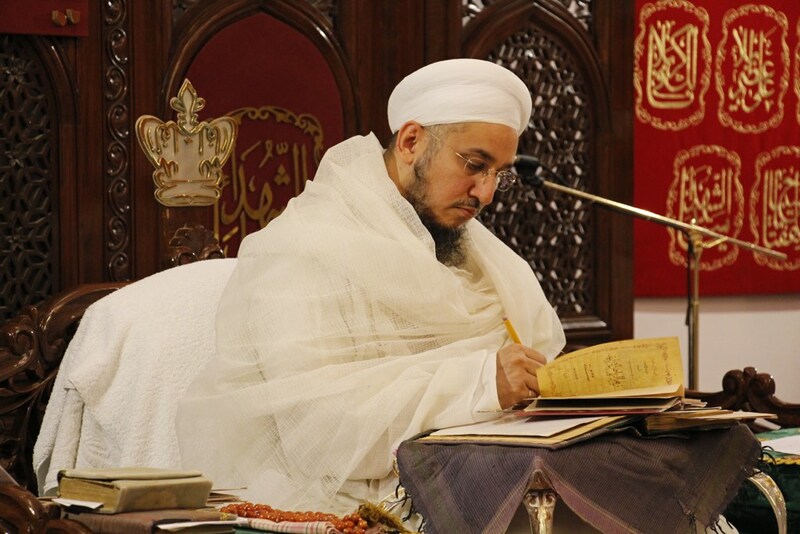 On each topic, Maulana imparted priceless jewels of wisdom. Maulana also encouraged Mumineen to seek their sustenance and rozi with himmat and tawakkul on Allah Ta’ala. Maulana drew from his own extensive experience and gave practical advice (inshallah this clip will be published soon). The taweel chapter was pertaining to the deeper meaning of Allah’s command to Ibrahim, as narrated in the Quran, to slay his son Ismail. Maulana completed the haqiqat bayaan with tawjeeh of the word Ibrahim. Maulana ended the bayaan with a heart rending recounting of shaadat of Aun & Mohammed (sons of Maulatuna Zainab) and Qasim (son of Imam Hasan). Finally, he prayed Imam Husain’s shahadat remembering that today is the fourth of Muharram and from 4 you can extract 10 (4+3+2+1=10). 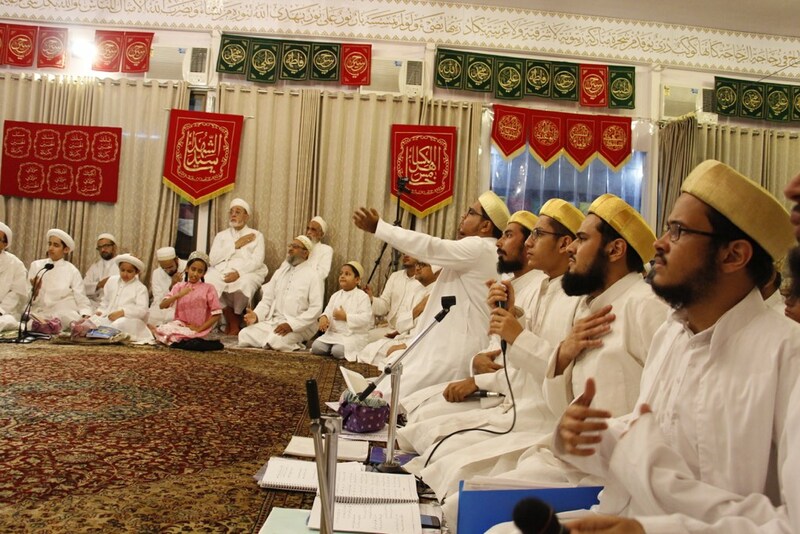 For the longer summary in English and Dawat ni Zaban, photos, video excerpt of third waaz click here. Maulana continued bayaan on ’ilm in great detail and asserted that Mumineen must make determined efforts to seek it in their daily lives. Maulana then began the main bayaan, reciting the ayat "O Allah, our Lord, send down to us a maidat from the heaven to be for us a eid for the first of us and the last of us and a sign from You. And provide for us, and You are the best of providers." (Surat al-Ma’idat: 114). Maulana explained 5 fasl (chapters). Finally, Maulana did immense doa for Mumineen. Thalo bharela hoi. Maulana related with yesterday’s bayaan on baitullah, may we do Hajj with the mamsool of baitullah, Imam-uz-Zaman. Maulana ended on the heart rending zikr of Abbas Alamdar and Imam Husain. He did doa that by the wasila of Abbas, may Khuda Ta’ala quench our thirst for 'ilm. 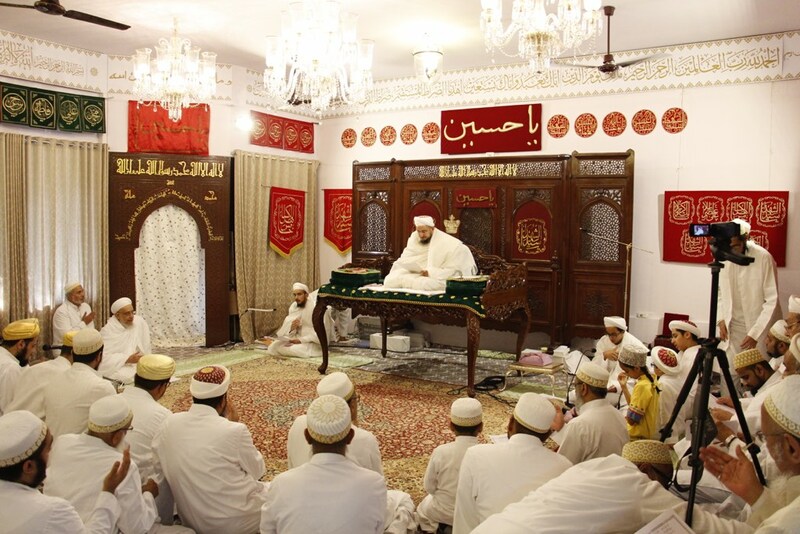 Maulana also stated that Syedna Qutbuddin had passed on the ‘alam of Dawat to him. He then beseeched doa “‘Abbas ‘Alamdar na wasila si mara Maula Imam-uz-zaman par qurban thai jaaw”. Maulana also beseeched doa for Mumineen that by wasila of Abbas’ hands, may our hands be immersed in the khidmat of Dawat. Maulana ended on Syedna Qutbuddin’s kalaam: Husain was afflicted with 1000 wounds, will you not perform matam 1000 times over? 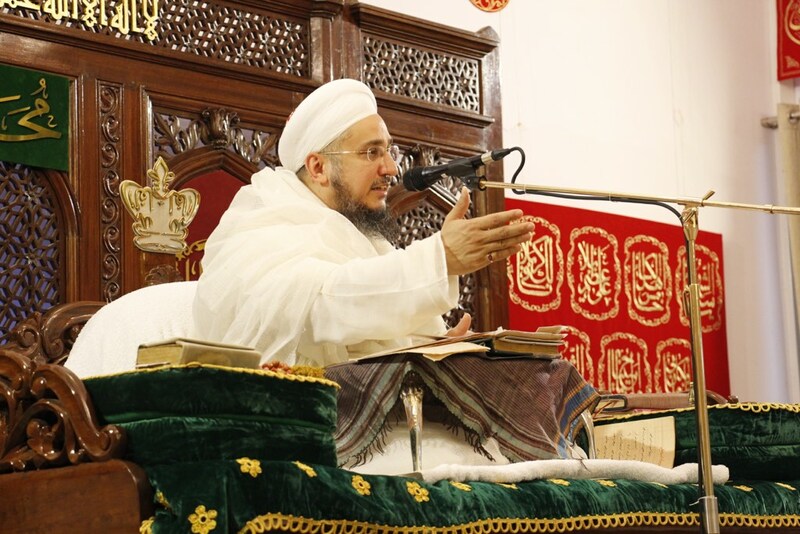 For the longer summary in English and Dawat ni Zaban, photos, video excerpt of fourth waaz click here. Maulana TUS began the bayaan by explaining that Imam Tayyeb’s kunyat is Abul-Qasim, just as Rasullulah’s SA kunyat is Abul-Qasim. 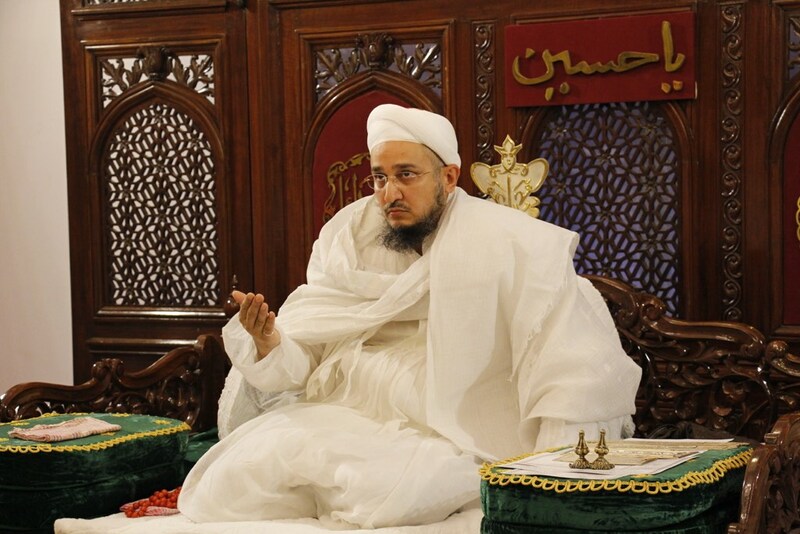 Syedna Fakhruddin then explained that Syedna al-Moayyad al-Shirazi states that an Imam is present in every age who personifies rahmat (Allah’s mercy), and in satr, the Dai is among Mumineen as the personification of rahmat. Since the day was jumoa (Friday), Maulana prayed salawaat on our mawali. Maulana noted how the whole world agrees on the days of the week, and that there are 7 days in a week. It is rare for billions of people to agree on one thing, this is due to the very first Imam (Adam-e-Kulli) who established this. Each day is masl (symbol) on a natiq (Prophet) and Friday is a mathal on Rasulullah SA. 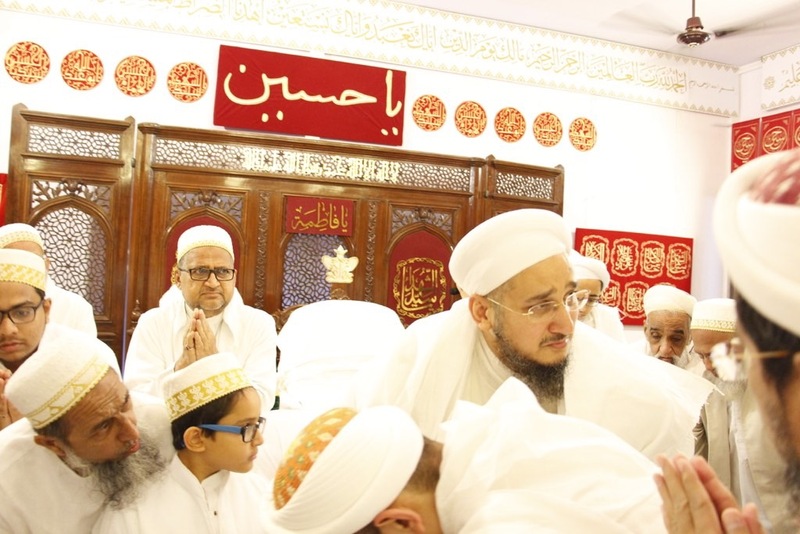 Syedna Fakhruddin also prayed salaam on Anbiyaa’ Kiraam, Aimmat Tahereen, Aal-e-Mohammed Du’at Mutlaqeen and did doa that we may be fortunate to do their ziarat soon - he stated that through our salaam on Imam-uz-Zaman all our previous salaams are qabool (accepted). Maulana then began the main bayaan, relating the daur (age) of the previous 5 natiq-s to the daur of Rasulullah. Maulana recited and explained the ayat “There was certainly in their stories a lesson for those of understanding. Never was the Qur'an a narration invented, but a confirmation of what was before it and a detailed explanation of all things and guidance and mercy for a people who believe” (Surat Yusuf: 111). The stories of past anbiya are not just to please the heart, they are true and hidayat (guidance) for those who believe. Syedna al-Moayyad al-Shirazi states that what occurred in past ages has occurred in Rasulullah’s age, not just stories but relevant today. With great detail, Syedna Fakhruddin explained the historical parallels between these Anbiya, Rasullulah SA and the current zamaan. 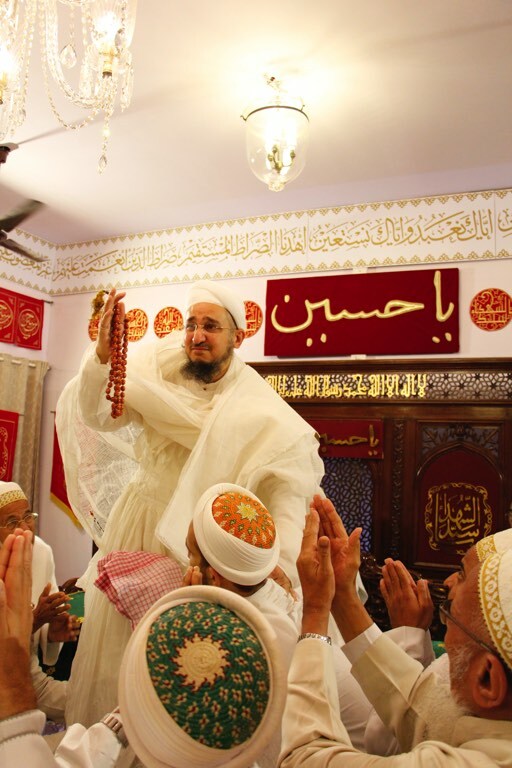 In each bayaan Syedna also related zikr of Syedna Qutbuddin’s shaan. Maulana ended the waaz on Rasulullah’s shahaadat, and especially recounted the zikr of hanoot, which all Panjetan were given, except for Aqa Husain. 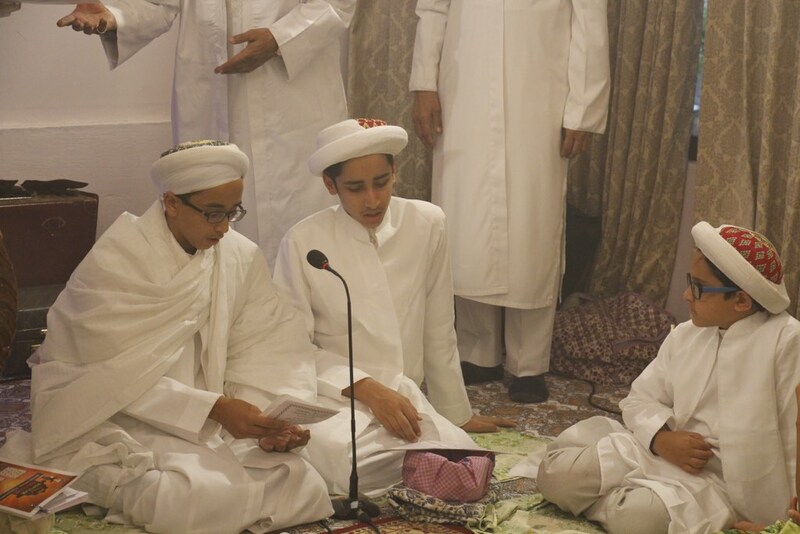 For the longer summary in English and Dawat ni Zaban, photos, video excerpt of fifth waaz click here. 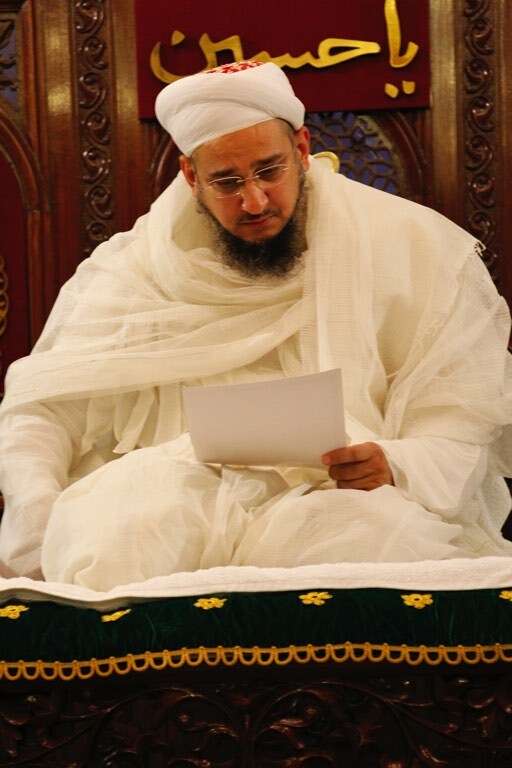 This chain of noor continues today, one Dai’s name was noor, Syedna Noor Mohammed Nooruddin (37th Dai). The Quran Majeed states that people said for Yusuf Nabi AS, he is no human, rather a firishta (angel). Similarly, after Eisa Nabi AS was given the cross and buried, Eisa had told them he would return on the 3rd day on Mount Olive. When Eisa did tajalli, he asked his wasiyy Shamoon-as-Safa, what he saw. 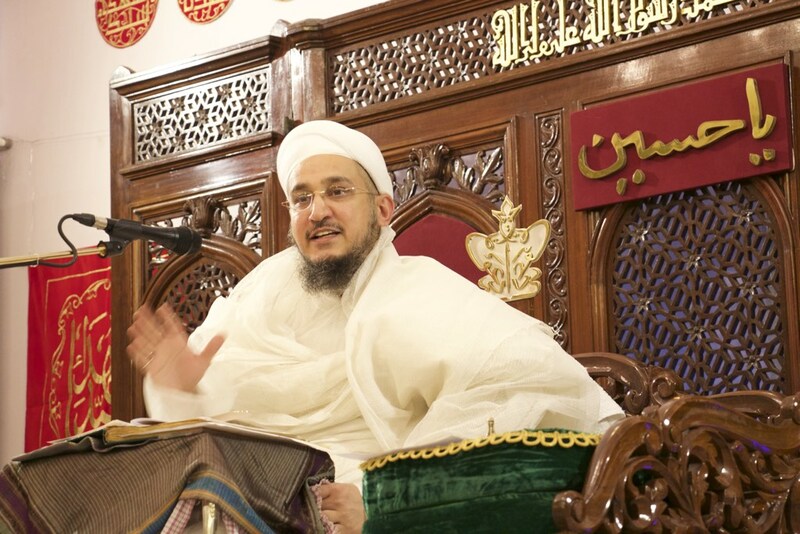 Shamoon-as-Safa responded “I give shahadat that you are the noor of Allah.” When Syedna Taher Saifuddin visited Africa and Mumineen saw him for the first time, they said we see in him a lot more than what we expected. 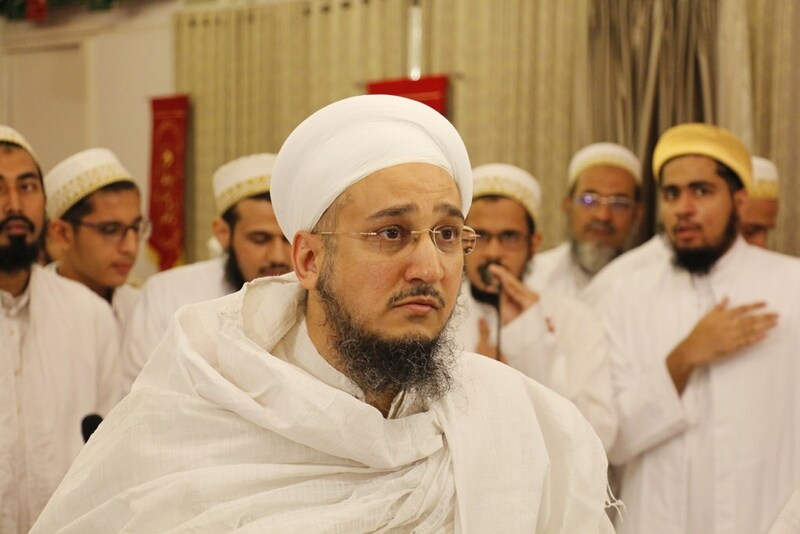 When Maulana Burhanuddin visited Australia, a local said in English “he looks like an angel.” Maulana then related an incident with Syedna Qutbuddin in Baitul Muqaddas (Jerusalem). 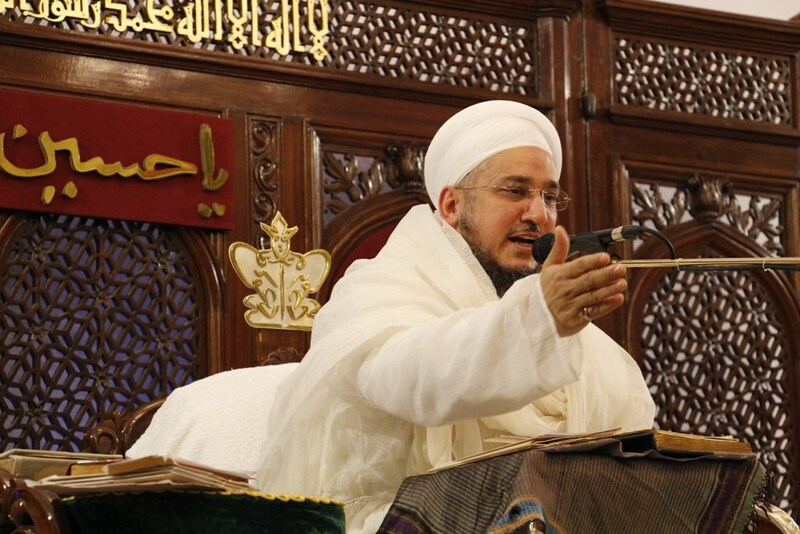 While walking out on a street outside Masjid-e-Aqsa in darkness, a man came and said to Syedna Qutbuddin that I have never seen a face as noorani as yours. He prayed the ayat “by the star they seek guidance” (wa bin-najmi hum yahtadun – Surat al-Nahl: 16). Maulana also narrated another similar incident in Mumbai. 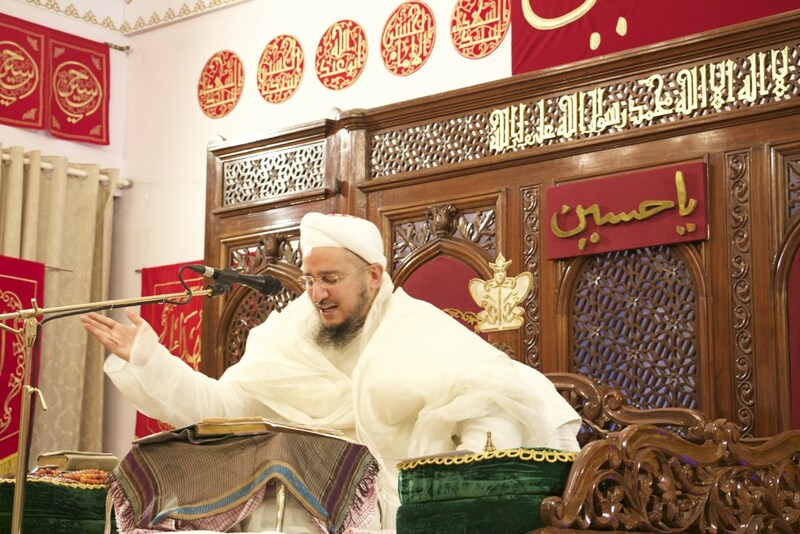 Maulana recited abyaat from a qasida he had composed for Maulana Burhanuddin when in Misr in which he said that the noor of Tayyib Imam is in your wajeh - your wajeh is like the sun and the moon in brilliance. 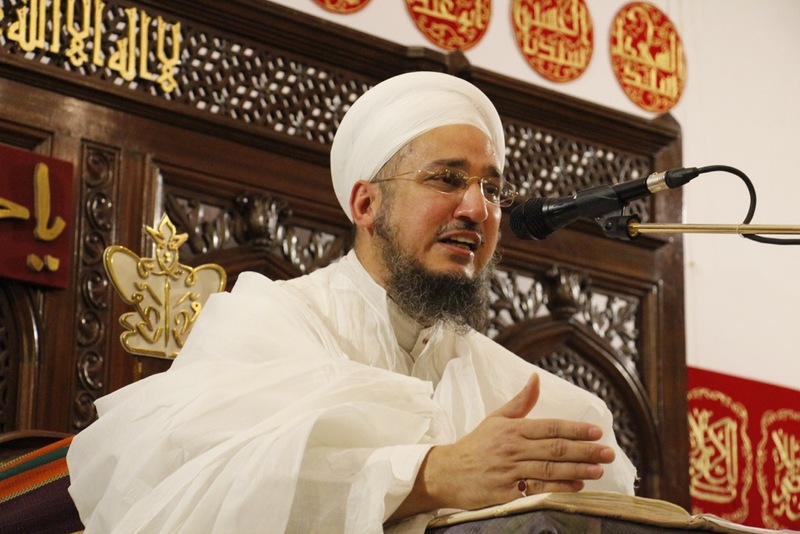 Maulana recited abyaat from Syedna Taher Saifuddin’s qasida “Al Aqlo fil insaane a’lal-jawhari”, where it states that similar to eyes that need light to see, they are of no use in the darkness, so does the aql needs the noor of the sun of revelation - Rasulullah and A’immat. 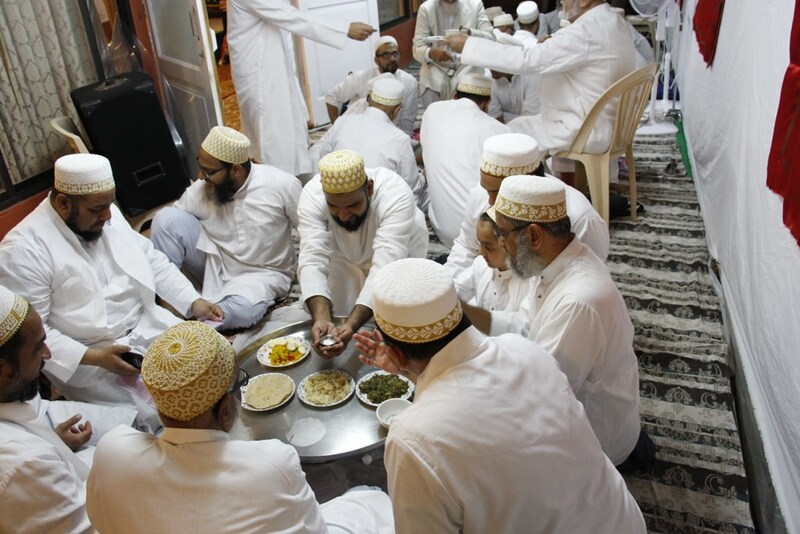 On occasion, people would say we have blind faith and Syedna Qutbuddin would be upset, that is not how it is, we pray namaaz with our eyes open, we respond to the call of Dawat with ma’refat, with rational understanding. Otherwise, we see the case in the world today, where the blind lead the blind. Rasulullah has embodied this noor in both Quran, one who prays seems like the stars to the heavens. He also embodied the noor in Shariat, we should strive to follow it. For a Mumin, nuqtat-un-noor is granted at misaq that connects with Imam-uz-Zaman. Then with good deeds, this noor continues to increase, until we reach majma’-ul-anwar (the collection of all light). Maulana then began the main bayaan, reciting and explaining ayat-un-noor “Allah is the Light of the heavens and the earth. The example of His light is like a niche within which is a lamp, the lamp is within glass, the glass as if it were a pearly [white] star lit from [the oil of] a blessed olive tree, neither of the east nor of the west, whose oil would almost glow even if untouched by fire. Light upon light.” (allahu noorus-samawaati wal ard - Surat al-Noor: 35). 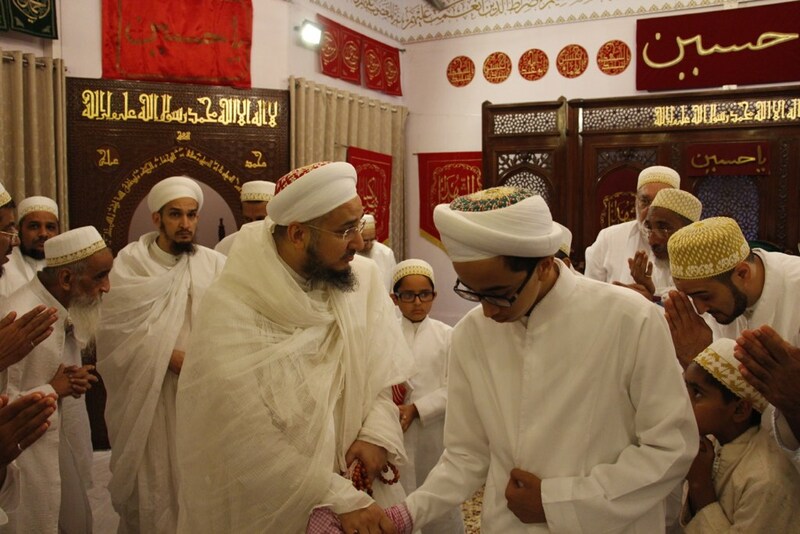 Since it was Fatema’s majlis, Maulana did bayaan of Fatema’s shehzadas, 21 Imams in 21 minutes as time was short. Then in a unique manner, Maulana split the ayat in 7 parts and connected each to an Imam from each satra (unit of seven), covering 3 satras of Aimmat, atimmaa’, kholafaa’ and ash-haad. 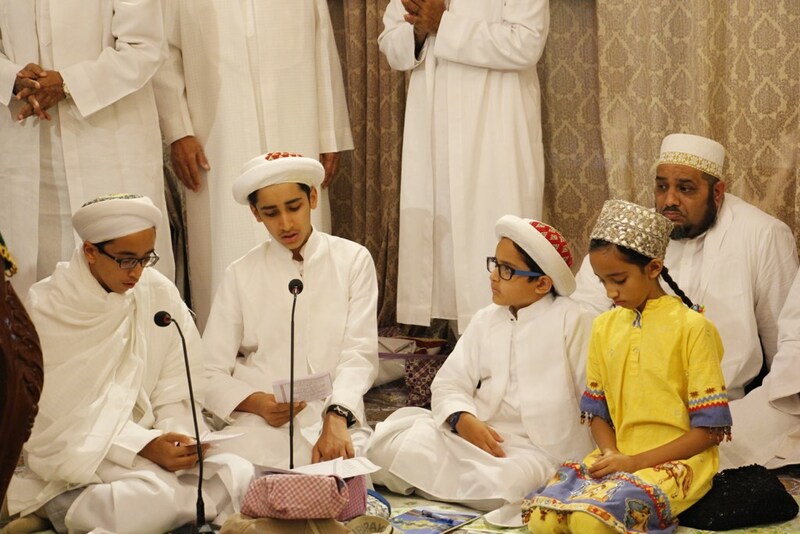 Maulana completed the bayaan on maw’izat (teachings), Mumin’s divine parents are father noor and mother rehmat. Similarly, Rasulullah and Ali, Imam and Hujjat, and in satr, Dai and Mazoon. 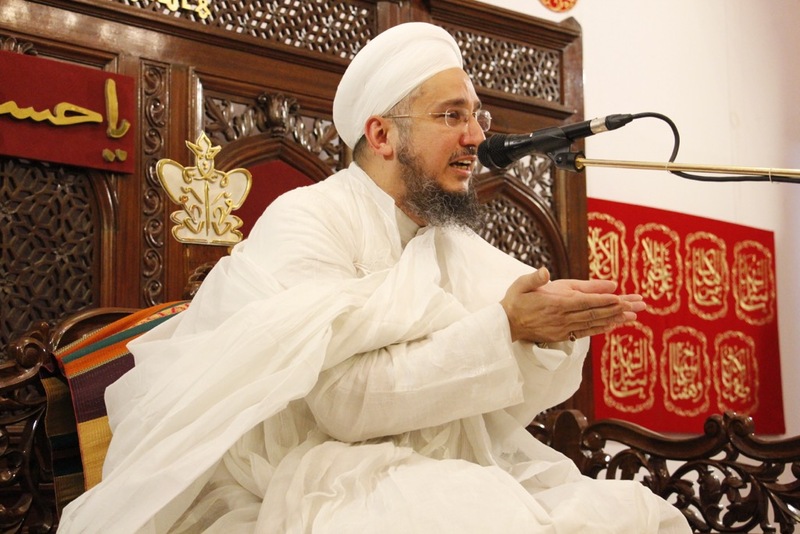 Referencing Syedna Taher Saifuddin’s Risalat, Maulana gave guidance regarding the manner in which a wife should be with her husband, listing her duties and responsibilities. He then said that it is not the wife alone who has duties and responsibilities towards her husband, the husband also has duties and responsibilities towards his wife. He said that continuously blaming one another is a cause much distress. Instead each should treat the other as a life partner and help each other in the journey of life. Maulana ended the bayaan remembering Syedna Qutbuddin, noorun ala noor, noor of both Taher Saifuddin Aqa and Burhanuddin Aqa was captured in him. Noorani chehro, we remember him deeply especially when doing ziyarat. Maulana prayed poignant shahadat of Imam Husain, Maulatuna Fatema came to Karbala to sweep the plains where Husain would suffer shahadat. And Maulana prayed the shahadat of Aqa-Husain’s mother, Maulatuna Fatema, recalling the zulm she endured after the passing away of Rasulullah. On 8th Moharram, Syedna Fakhruddin TUS delivered the 7th waaz for Ashara1438H. Maulana addressed Mumineen as those who holdfast the walayat of Amirul Mumineen, the one for whom Rasulullah gave bisharat (glad tidings) of nasre azeez (great help) and fateh mubeen (clear victory). “Shi’ato Aliyyin Humul Faizoon”, it is through this walayat that Mumineen obtain victory and success. Maulana related the riwayat (episode) of the A’rabi who asked Rasulullah what is habl-ul-lah (rope of Allah) that the Quran Majeed states one should hold fast to. Rasulullah indicated towards Amirul Mumineen who was at his side, and the A’rabi instantly embraced Amirul Mumineen and gave shahadat that “I have held fast to habl-ul-lah.” Maulana Taher Saifuddin has said in a wasila that it is our fortune that today, we holdfast the same hablul-lah, through holding fast to Imam-uz-Zaman, and his Dai. There is no leeway in walayat – other da’aim (pillars), there is, namaaz can be prayed sitting, wuzu can be done with dust, roza can be deferred if sick, zakaat is only to be paid if one has the capacity, Hajj is to be done if only one has the means and Jihad is not mandatory on the elderly. Surat al-Hamd is known as Surat al-walayat: if this surat is forgotten in namaaz, the namaaz must be repeated, unlike if any other Surat is forgotten. Even then, the namaaz is only valid if the other Surat is forgotten unintentionally and not if one intentionally skips it. “Je che te ta’at (obedience),” Quran states that obey Allah Ta’ala, His Rasul and ulil-amr, those who succeed Rasulullah. The obedience is linked. Through ta’at, other deeds are accepted. The Quran states that Jannat won’t be attained until a camel is threaded through a needle, and our Hudaaat explain that this ayat is in reference to ta’at and its difficulty. Just saying one has mohabbat is not sufficient, one should act on it. Syedna Fakhruddin emphasized that one should repeatedly come in the hazrat of the Dai. 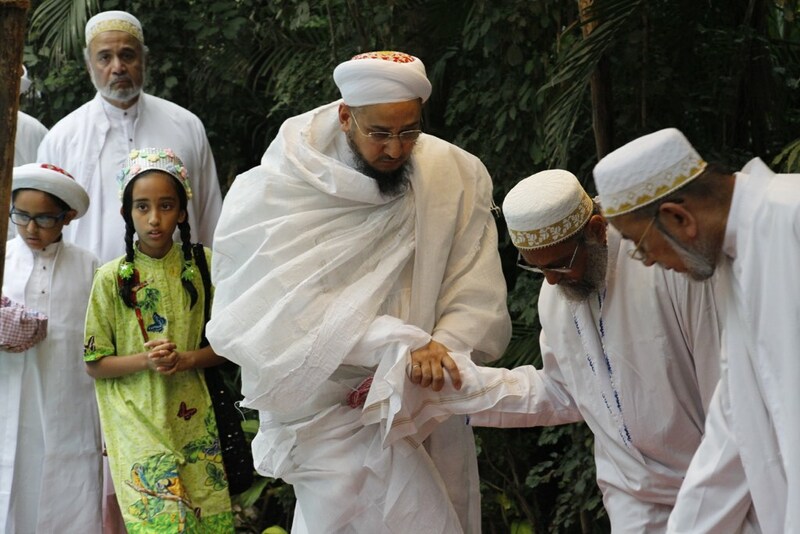 Syedna Qutbuddin would say bring your children and make them recognize who the Dai is. Maulana then began the main bayaan by reciting and explaining the ayat “Indeed, We have given you, a clear victory (inna fatahna laka fathan mubina). That Allah may forgive for you what preceded of your sin and what will follow and complete His favor upon you and guide you to a straight path. And Allah may aid you with a mighty victory.” (Surat al-Fath: 1-3). People of zahir say ayat was revealed after the peace treaty at Hudaibiya. Maulana recited hamd ibarat from Syedna Qutbuddin’s alaamat. 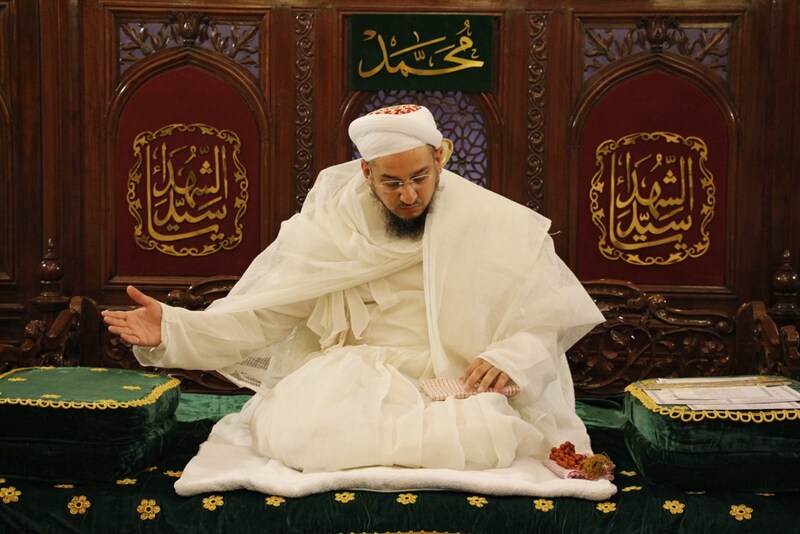 He prayed salawaat and salaam on Imam-uz-Zaman and recited abyaat from qasida “Ya Ameeral Mumineena”. Amirul Mumineen ibn Amirul Mumineen, grant us fathe mubeen. Maulana then did immense doa for Mumineen. On Aashura - 10th Moharram, Syedna Fakhruddin TUS delivered the 9th and 10th waaz for Ashara 1438H. Maulana addressed Mumineen as those who holdfast mohabbat of Panjetan, Aimmat Tahereen, Du’aat Mutalqeen and the Dai of our age, mohabbat ma ikhlaas na karnar, due to which we gain shafa’at of these awliyullah. Once upon a time, Imam Mohammed al-Baqir said three times with josh (fervor), “By Allah, we will do your shafa’at.” For shafa’at, they sacrificed themselves, such was the shaan of the 5th one in Panjetan. In one riwayat, Rasulullah noticed a child playing in the street, took him in his arms and kissed him. Ashaab did araz “who this child was that was granted such honor”, Rasulullah replied “this young child, he placed his head near Husain’s feet, he has such mohabbat, he will go with Husain to Karbala. Because he holds mohabbat of Husain, I have mohabbat for him. I will do shafa’at for him on qayamat.” We maintain yaqeen (conviction) that due to Husain’s matam, we will be blessed with Rasululllah’s shafa’at. Maulana then resumed the bayaan and performed the 10th waaz, arriving for maqtal and shahaadat bayaan. Maulana explained that it is this hour of Asr when Husain was killed that the Quran Majeed swears by in Surat al-Asr. 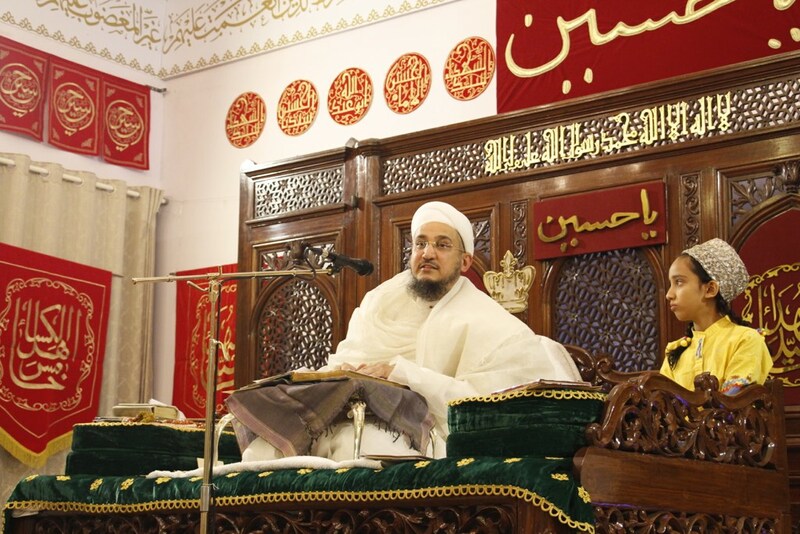 Maulana narrated Aqa Husain’s journey from Madina to Makkah and onwards to Karbala. Muslim bin Aqeel was sent to Kufa, there, him and Hani bin Urwah, Hujjat’s of Husain, were killed. Qais bin Mushhir was also sent and he was told to pray lanat on Husain – when on the minbar (pulpit) Qais prayed salawaat on Husain and lanat on the one who asked him to pray lanat. Qais was killed. As the news of these killings reached Husain’s caravan, it became apparent as to what would happen. Most people who were with the caravan in the hopes that Husain would establish a caliphate (temporal rule) and they would reap the rewards left. Only 72 remained, 72 who would be remembered till qayamat. Maulana culminated Ashara 1438H on the shahaadat of our Aqa, Imam Husain. Maulana performed sajda on takht and indicated the place where Shimr applied his buthu khanjar. Mumineen cried profusely with their Aqa and Maula, Syedna Taher Fakhruddin, and did purjosh matam until Magrib. After namaaz, Maulana prayed “Ya Mohsino Qad Ja’akal Musi” and broke the laagan. Mumineen obtained sharaf of qadambosi, where all were in shukur of their Dai, who performed his first Ashara as Dai with such shaan, one which only the true inheritor of the 53 Duat Mutlaqeen could do so.